I admit, that was too good to let it pass. The Lebanese Army found a trick to make its ad for breast cancer awareness advertising quite creative. How? 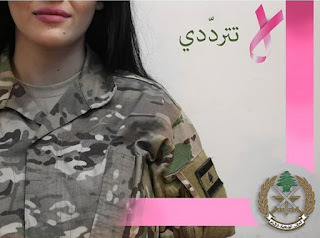 By turning the pink ribbon upside down it reads like "la" (لا) in Arabic - which means "no". Insert this into a sentence and becomes "no hesitation". Neat, very neat, trick.